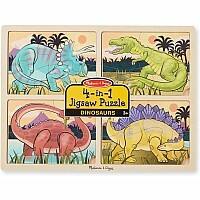 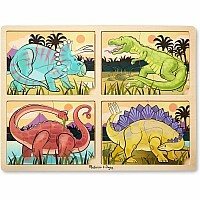 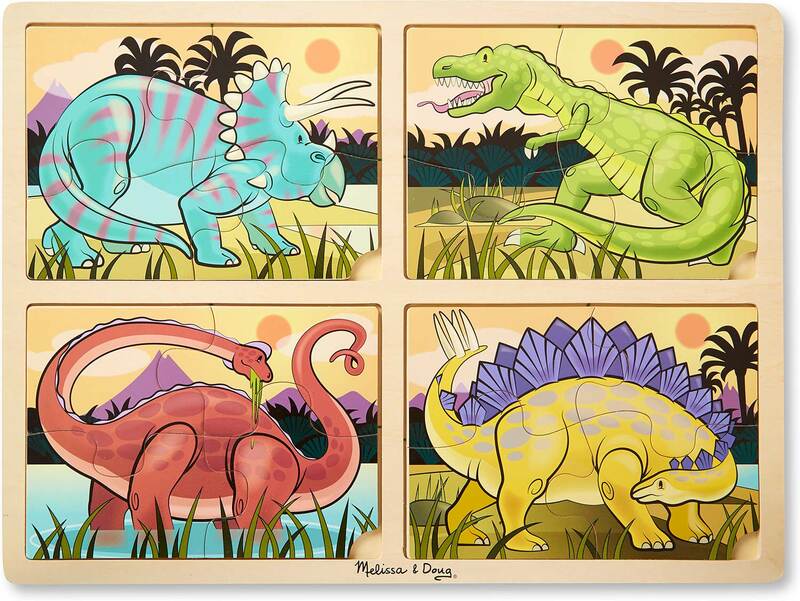 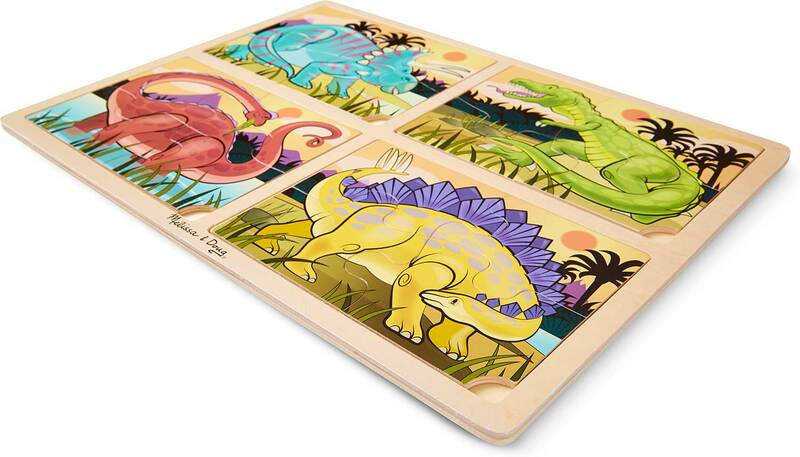 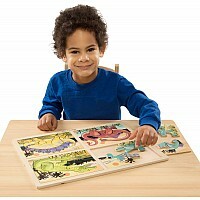 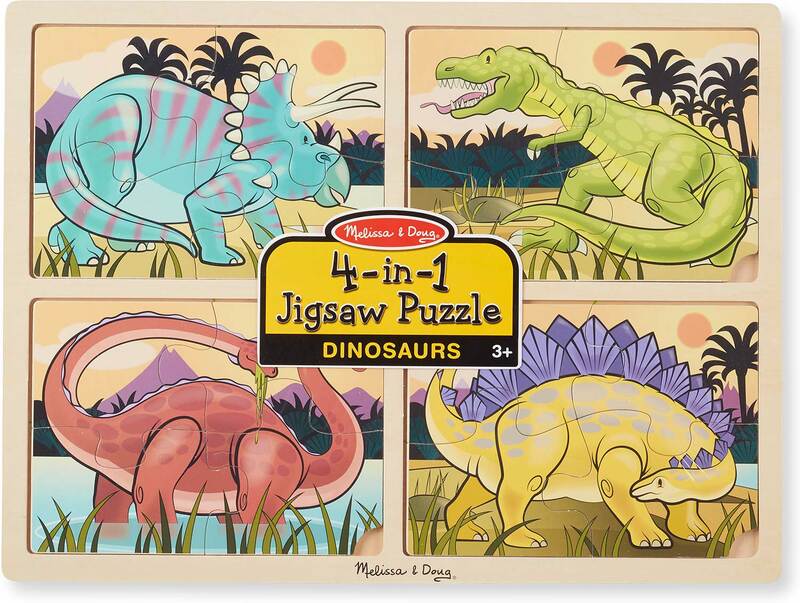 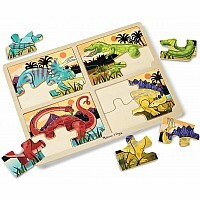 Dinosaur fans will love this colorful 4-in-1 jigsaw puzzle featuring prehistoric favorites- triceratops, T-rex, stegosaurus, and brachiosaurus in a dramatic landscape! 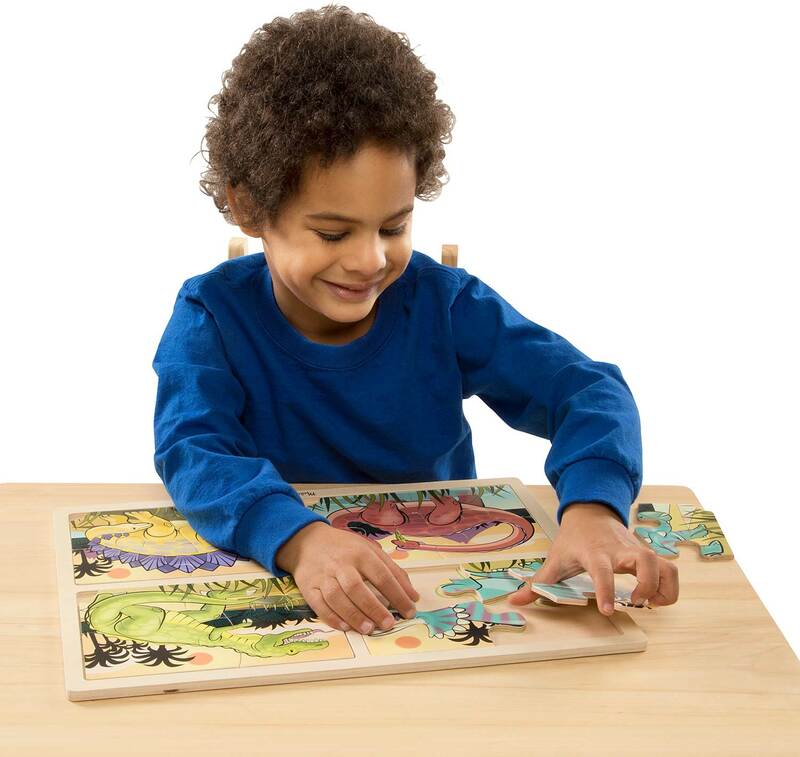 Each puzzle's pieces are printed with a different shape on the back (triangle, square, diamond, or circle) for sorting fun and to help children figure out which pieces go together; the puzzle board is also printed with the pieces' outlines (every piece is unique!) 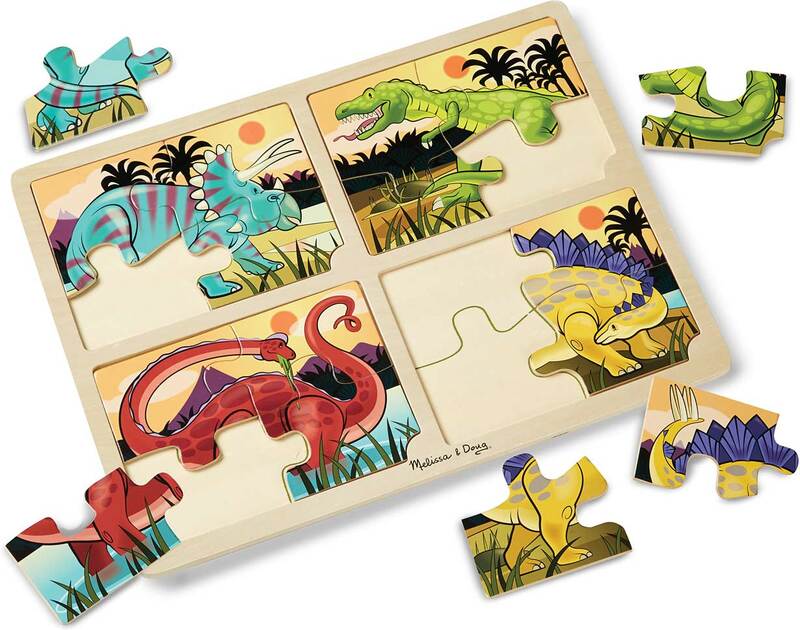 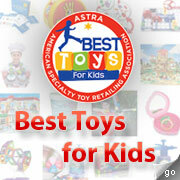 Includes 16 puzzle pieces in all.